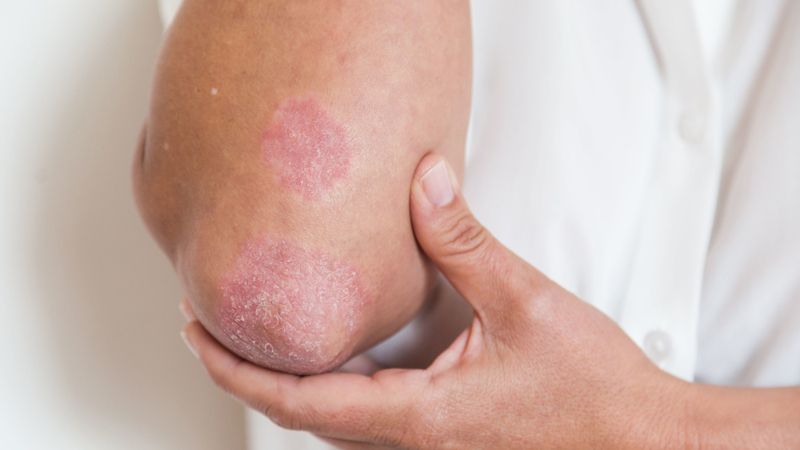 Psoriasis is a systemic disease that affects the skin and, to a lesser extent, joints and although skin lesions are usually present throughout the year, more than 90% of patients experience improvement after regular exposure to sunlight and avoiding burns. It is a chronic, inflammatory disease that combines genetic, immunological and environmental factors that appear mainly in the trunk, scalp, knees, elbows, palms and feet. It is estimated that 2 to 3% of the population is affected in Argentina, it may appear unclear and apparent at any age in men or women. Ultraviolet sunlight is beneficial for psoriatic lesions of the skin because UV light affects the epidermis cells, producing an immunomodulatory effect that reduces inflammation (redness) and keratinocyte proliferation (thickness and desquamation) of the skin. plaques of psoriasis. In the field of medicine, ultraviolet radiation from special lamps or rays is used to treat psoriasis as other skin diseases: vitiligo, parapsoriasis, atopic dermatitis, lymphomas, scleroderma and numerous inflammatory diseases. "Although some patients, according to special dermatologist indications, will be able to expose injuries without a protector for better absorption of UV rays, a disproportionate sunshine may cause an opposite effect on friends that will aggravate the same", said dermatologist Alejandra Abeldaña, specialist in oncological dermatology, head of Dermatology Department of the Acute General Hospital, Dr. Cosme Argerich. In that sense, he maintained this "It is important to use a factor of 30 or more, restore it every two hours or leave water, stay in the sun for more than an hour and moisturize the skin with creams or emulsions" and noted it "Even with healthy skin, it is necessary to avoid the dangerous time zone: from 11:00 to 16:00"
Patients with moderate or severe psoriasis experience improved healing in the summer. "Maintaining adherence to treatment is critical to controlling the disease regardless of the seasons", he added.